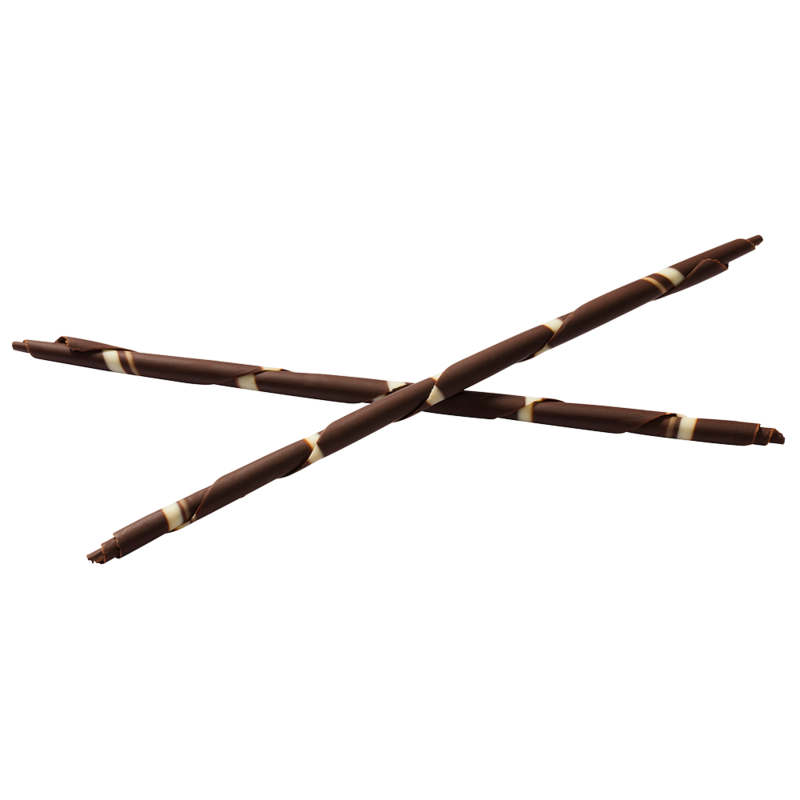 Finely rolled X-large marbled Chocolate into a stick (D: 7, L: 200mm) adds texture and sophistication. This Chocolate pencil can be used on plated desserts, cakes and even ice-creams. The possibilities are endless.